A Literature Review is a thorough and methodical study of existing research information on a specific topic, presented in a well-ordered, scholarly manner. evaluate research methods used in previous studies. Excellent, concise guide from the Student Learning Centre. It covers the purpose of reviewing literature, recording searches, taking notes and evaluating the literature, structuring and writing the review, as well as linking it to other parts of your thesis. Different disciplines will require different sorts of literature reviews. In Arts and Humanities studies, literature may be reviewed throughout the thesis as required by the topic. For Social Sciences and Sciences research, the literature review often consists of a separate chapter that informs the research design and methods. For some topics, there may be no literature review due to the 'cutting edge' nature of the research topic. 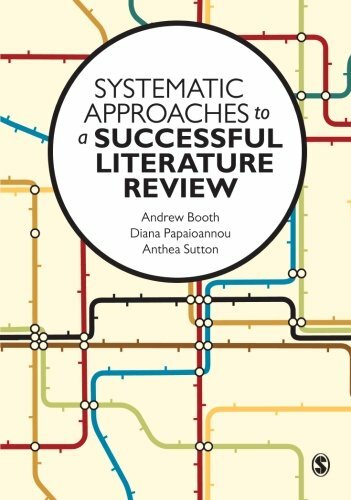 Traditional / Narrative review - a critical summary and synthesis of previously published literature about a particular topic involves systematically exploring related literature. Narrative reviews can be organised by chronology, theme, or methodology, and may highlight issues of debate and gaps in current research. Systematic Review - "[a] high-level overview of primary research on a particular research question. It seeks to collate all evidence that fits pre-specified eligibility criteria with the aim of minimising bias by using explicit systematic methods" - Cochrane Database. Commonly used within Health Sciences to compare and assess effectiveness of clinical interventions. The Cochrane Handbook for Systematic Reviews of Interventions is a very detailed, high level approach used when undertaking a Cochrane review - the highest level of evidence on which to base clinical treatment decisions. If you are simply wanting to apply a systematic approach to your literature review, you may want to choose one of the other options e.g. PRISMA, which provides an evidence-based minimum set of items for reporting in systematic reviews and meta-analyses. Cochrane reviews represent the highest level of evidence on which to base clinical treatment decisions. Cochrane Library provides reliable information from other systematic review abstracts technology assessments, economic evaluations, and individual clinical trials. This handbook (v5.1.0) is the official document that describes in detail the process of preparing and maintaining Cochrane systematic reviews on the effects of healthcare interventions (see section 1.2). V5.2 changes are at this link too. V6 is expected in 2018. The Joanna Briggs Insitute [JBI], like the Cochrane Institute, has developed a specific process for conducting systematic reviews. Check their JBI Library. "PRISMA stands for Preferred Reporting Items for Systematic Reviews and Meta-Analyses. It is an evidence-based minimum set of items for reporting in systematic reviews and meta-analyses." Search this international database of prospectively registered systematic reviews in health and social care. A short tutorial created by the School of Nursing and Academic Division of Midwifery, University of Nottingham. A guide produced by Edith Cowan University, Western Australia. using a range of search tools, including library subscription databases and research repositories - DON'T just use Google Scholar! setting up alerts to keep up to date. Your Subject Librarians can help you with all these steps. A simple tips for searching and finding literature. A really relevant post about the continuing process of reading in and around your subject. The post discusses how your ideas continue to develop and change the more you come to know your topic. An excellent introduction to finding relevant literature and getting to know your field developed by Norwegian Universities. Part of Three modulesto support research PhD students. There are Subject Librarians for each division, school and department at the University of Otago. They offer a wide range of academic support. Make an appointment to see yours today! Currency - how recent is the publication? How long was there between acceptance of the work and its publication? Quality - what was measured and how were the data collected? Do the data justify the findings? Is adequate evidence offered for the arguments? Is other relevant research cited? Context and Perspective - what is the theoretical framework of the author? What are the foundational assumptions they make? A short interactive introduction from the Library on reading critically for your research project. Have you ever wondered how to keep track of new and upcoming research relevant to your topic, so that you are not horribly suprised by that article that pips you to your PhD post? An introduction to some techniques of keeping up to date with current research, as well as short demonstrations of how to set these up within specific search tools and academic databases. Sage Research Methods enables you to search relevant books, book chapters, dictionary and encyclopedia entries, videos, or journal articles from over 175,000 pages concerning research methods. It also provides a visual Methods Map to help you find new methods or discover relationships between methods, and link to related content. Start using Sage Research Methods to discover and review a wide range of research methods. An introductory overview of this useful resource.